So, I’ve been into this weaving thang lately. Because of it, I’ve hoarded yarn like a New Zealand ewe in the dead of winter. My hoarding tendencies have forced me to come up with storage options that are a) pretty to look at and b) fun to make. And that’s what this DIY is all about. My Pinspiration for this project is the Acapulco chair. I’ve professed my love for Mexican Modern décor before, so this is right up my alley. 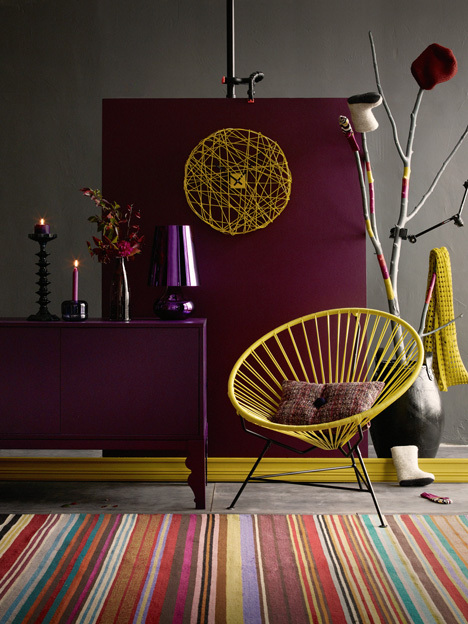 I found this yummy vignette with a yellow Acapulco chair from Pinterest, pinned from Finnish design site Kotivinkki (obsessed! Because I love all things Scandinavian too…). 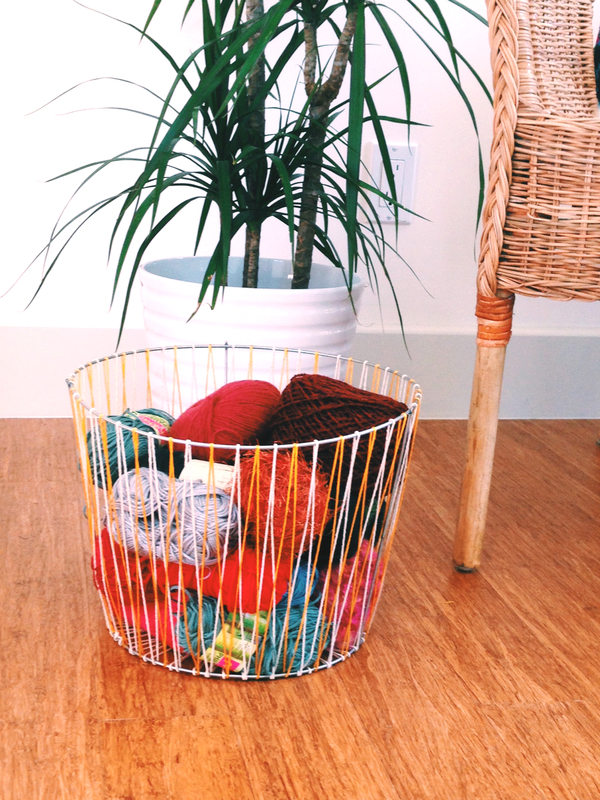 Back to my hoarding….I was in need of a storage solution for my growing yarn collection. 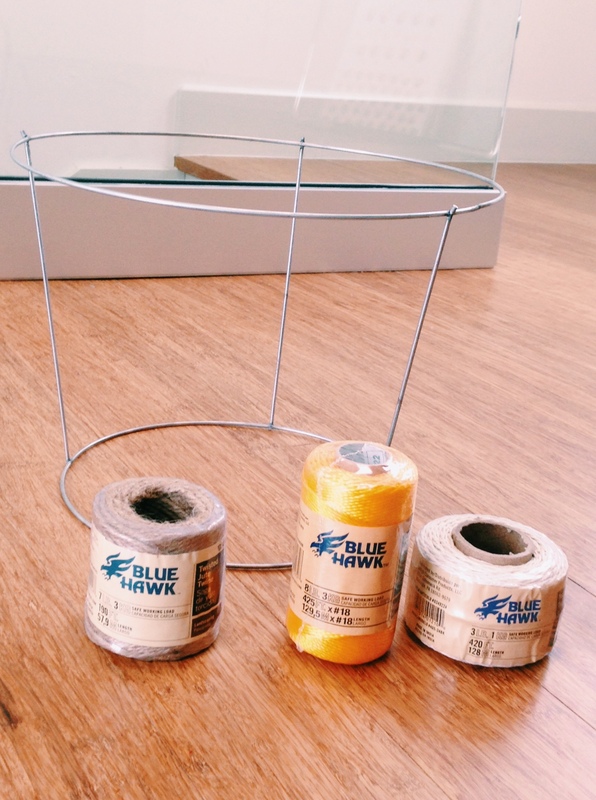 I’ve hacked a tomato cage before, so the idea came to me when I was looking at my previous hack. 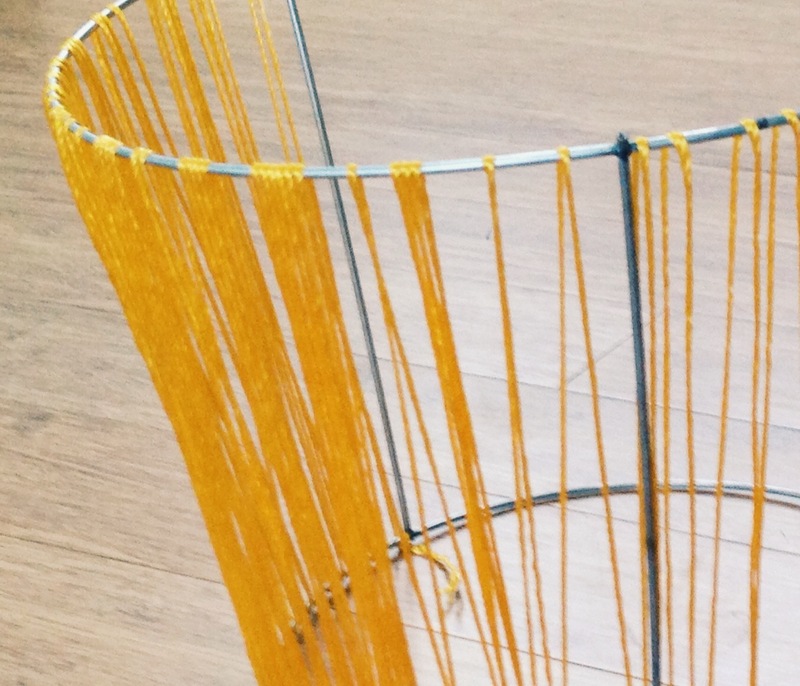 Let’s get weaving, shall we? It’s really easy (click the image above to expand it so you don’t have to squint to read the tutorial). It just takes a little patience. But all you do is tie a knot and start weaving your twine/rope in an over-under manner. 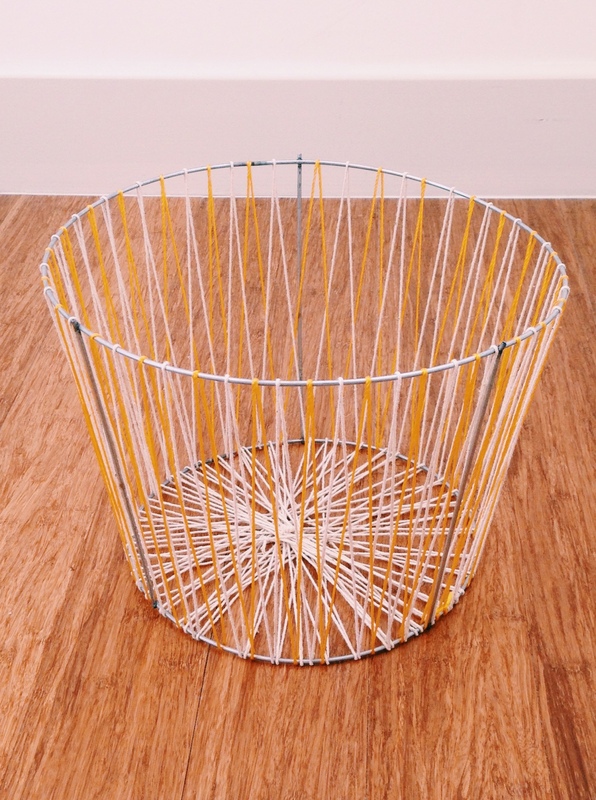 I decided to use two colors (yellow and white) to give my basket a little interest. Weave one color at a time. One thing to remember is to not pull down on the rope too tightly. 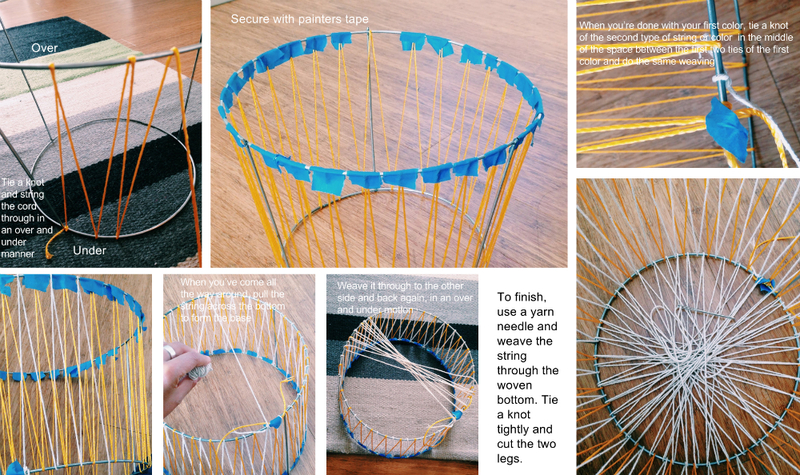 If the tension is too tight, your basket will go wonky. Using painters tape to secure your weave will help a ton. 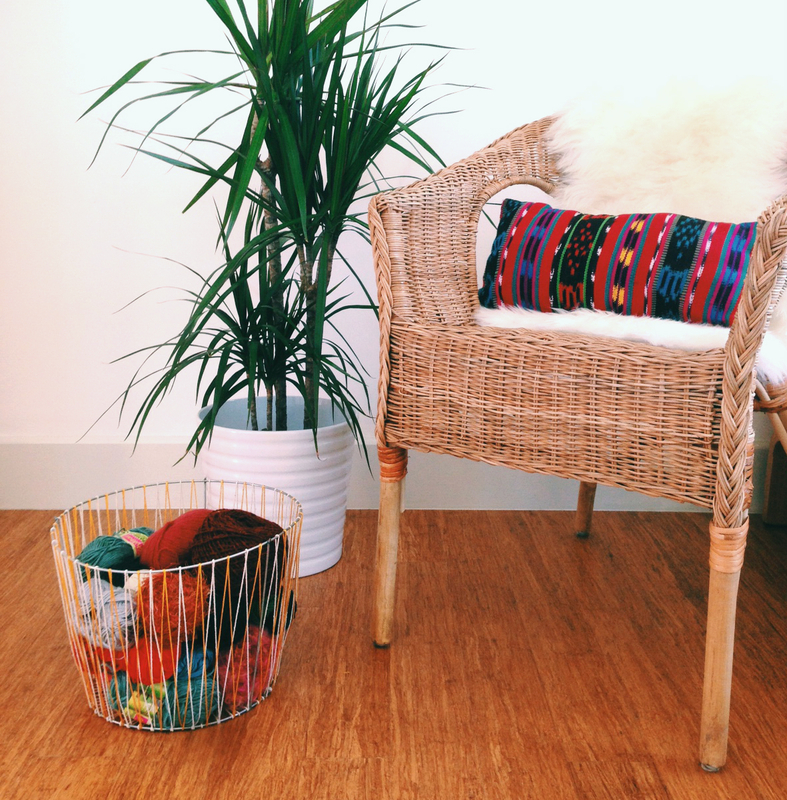 Into your new home you go, little balls of yarn. 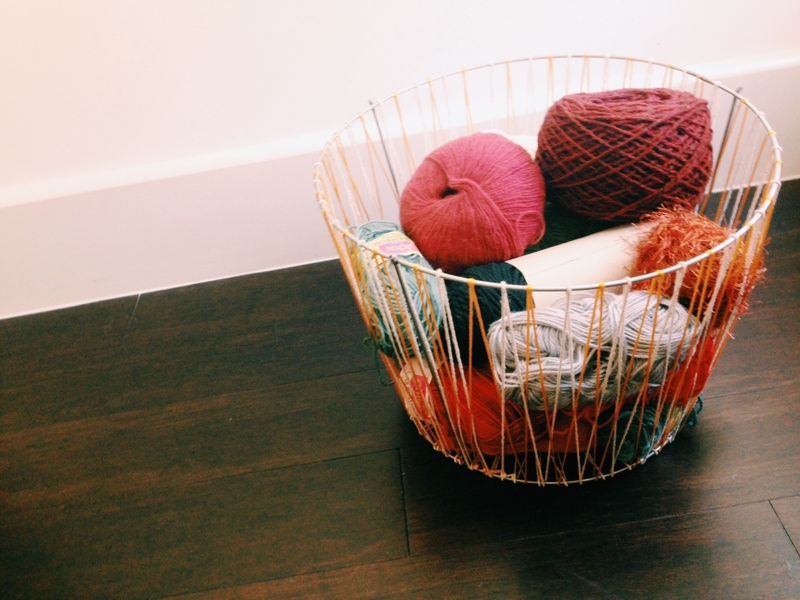 When it comes to crafting, there’s no denying that I’ve become a complete basket case. Go get your weave on! So happy to hear that! Thanks for your sweet comment! This is pretty awesome. Especially since I have a bunch of yarn in my closet from a crochet fail many moons ago and some rusted tomato cages in the shed! Thanks Jessica! There’s always a shortage on storage so I try to think up of unique ways that are aesthetically pleasing. Let me know if you attempt this! It’s easier than it looks. Merci pour le commentaire! Je suis tres content que vous aimez mon blog 🙂 Bisous.